Restaurant Take-Over: Thursday, May 3 @ Lucca Bar and Grill 11:30a.m.-10:00p.m. 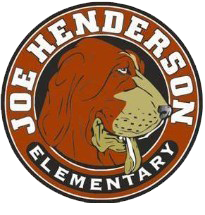 On Thursday, May 3, between the hours of 11:30am and 10pm the generous people at Lucca have offered to donate 10% of your dine in purchase to the Joe Henderson PTG (some restrictions apply, please consult the attached donation voucher for details). Although reservations are not required for this event, they are preferred. In order to take advantage of this generous offer and donate 10% of your meal to our school you must print out the attached donation voucher and bring it to the restaurant with you. You can start planning your meal now by browsing the menu available on the website for Lucca Bar & Grill.